This has been long time, I didn’t asked any question to the readers in Ask The Readers section. This is a reader interactive question, so I want to hear it from you. Leave Short or Long comment, I’ll appreciate every. 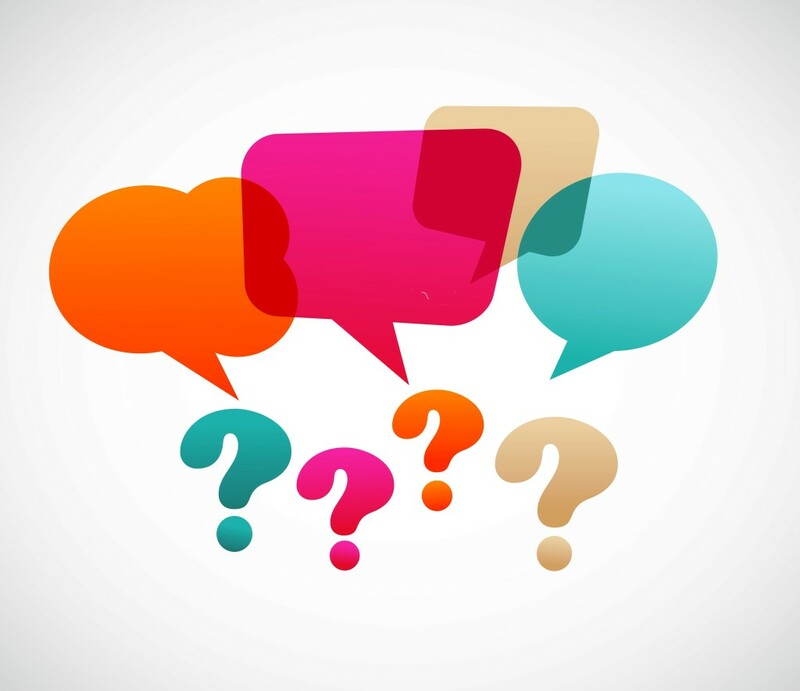 Question: Blogger Or WordPress – Which One Are You Using? Plugins makes the work easy, no coding skils required! Flexible, Easy to install and upgrade. Make sure to leave the comment below, as I mentioned above. Short or long comment, I’d be glad to hear from you. You can also read her comment here. You too can get featured here. Just answer my question. Back to today’s question: Blogger Or WordPress – Which One Are You Using? Share an especially insightful or valuable comment. You might get pick up as the winner of this first Ask The Readers section. Ask the Readers: Why You Started Blogging? Unlike blogger, where you have no option when it come to deleting the blogs.. i love wordpress more than blogger. I prefer Word press because it is safe and secure and have your own control on what you publish and share. Blogspot or blogger are more unsafe because it is linked with Google and if your Google account get hacked all your hardwork goes west. Previously I was using wordpress but now shifted to blogger because I had a idea in my mind that blogger is free and I can save a lot of money also your hosted wordpress site needs extra care. If my blog grows very large or if blogger bans my blog at that time I will shift my blog to a hosted account. I don’t think that there is any need to pay if you are getting everything free. I think every blogger should initially use blogger platform rather than wordpress because your blog will not start earning as soon as you made it. It takes time, so for time shake blogger is good option after that you can shift to wordpress when you have started making some good money from your blog. At the Start of my Blogging career I Used Blogger Platform but as I grew and got my own TLD, I moved to WordPress because of better control over website, one Click customization and many other factors, When I moved from Blogger to WordPress I got Lot of Increase in the traffic of my Blog. Personally Speaking, Both WordPress and Blogger have their own Merits and Demerits, Just like WordPress can be hacked and you have to pay for the Hosting of your WordPress Blog. But in Blogger your Site is Almost Unhackable, you don’t need to pay for hosting(Unlimited Bandwidth), etc. But with That there is More charm, customization and Better control over site’s Visibility and working, But on Blogger you need to know more coding for better customization and you do not have all the control of your site. I have used Blogger and WordPress. I am now a true wordpress lover! It has any plugin and customization you could possibly need. Blogger is ok for a personal blog but not one that makes money. Hi Ammar, nice question you have asked here. 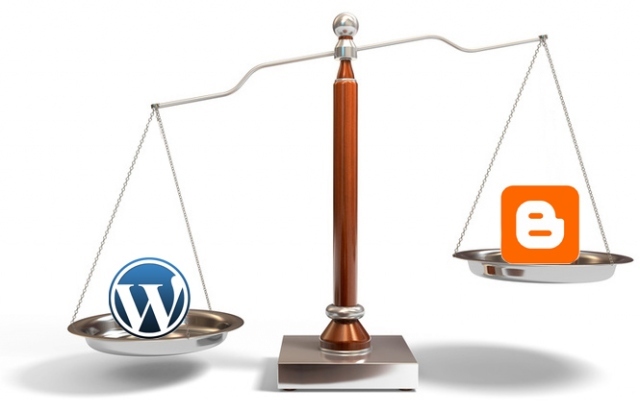 As per my opinion both (Blogger and WordPress) platform is best and both have advantages and disadvantages. Currently I am using Blogger platform and reason behind it that I love it. The main thing is using still blogger is I have learned coding by just using blogger. WordPress has many plugins that you can implement anything on WordPress by just installing it but in Blogger you have to code it. Advanced user also can customize WordPress blog by coding. Although WordPress have some great advantages against the Blogger. It is good to use the platform which you enjoy most rather reading just review from people. That’s why i use Blogger because I love it to use it. It is my personal opinion. without a doubt WordPress. It’s important to have an impact on everything that You can do on Your WebSite. It’s also easy to edit even for people without knowledge of coding skills. Benefirts of WP are so many, that i can talk about it all night, but ill just say it in one sentense. 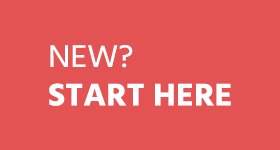 Get it now, trust me – WordPress got power and ill increase in future a lot. Blogger is always good, if you have knowledge of coding like html, xml, css etc.. at that time you can easily customize your template. WordPress is the best Blogging platform according to me due to it’s unfriendly GUI and control over of it’s galaxy full of it’s features, themes. Is easy one and more user friendly which does not need any coding knowledge. Love both actually infact I still maintain blogs on these sites, but if I’m going to choose one then I definitely go for wp. I am using both. I don’t see why we need to pick one or the other. What’s wrong with having two blogs. I have 3 active blogs right now and two of them are on Blogger and one on WordPress. I’m also using worpdress and love it more than any other one out there. In fact, the the king of CMS’s :). Though, I’m not very familiar with Blogger but, i do know for sure that worpdress is far much better than it in so many ways, the reasons you mentioned here included. Thanks for sharing buddy :). Great comparison! There could many benefits from WordPress and Blogger. If we have custom domain name, any site with blogger platform also works almost same. But I prefer WordPress due to SEO, Plugins, and theme. I’ve never used Blogger and I’ve been using WordPress since I came in that field. I don’t know what how much difficult to blogger is but I’ve heard from my friend that WordPress is more easy as compare with Blogger and I’ve also noticed that because of some great plugins it’s very easy. The author advantage of WordPress is also that we don’t have too much need to think about the template, we can save our time and give that time to write magical content. I am using WordPress with HostGator hosting. I think it is better than Blogger. 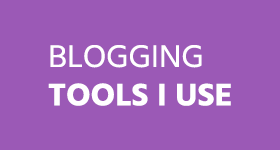 I am Using Blogger and Just Missing Features of Plugins. I use WordPress and WPEngine as my host. I love WordPress because it is easy to use and there are tons of quality themes and plugins to choose from. 3) Never buy custom domain through Blogger; instead of it, buy a domain with any good Domain company like Godaddy and put it on your blogger plateform. If you buy through Blogger it will not sell directly to you. It will also make you buy from any domain seller and Domain By Proxy will also involve in it as third party to manage your domain. It is so complicated, so directly buy your domain. Believe me if your properly apply the most relevant widgets on your blog at WordPress you will see miraculous increase in your traffic. But your contents and SEO must be professionally perfect to get huge success. In this modern market place our blogging profession is getting more popular. I think if anyone can do his work perfectly, then can get a huge benefit from the blog. Thanks for sharing your valuable post with us. I use blogger and I enjoy the features although I think wordpress is better as it has lots of plugins to ease work for bloggers. I hope to move over there very soon. Thanks for sharing this…really appreciate! I am using blogger platform because I trust on google hosting (blogger), Never trust on any hosting company because sometimes they goes down. I am not spending much more money on hosting. Blogger is always good, if you have knowledge of coding like html, xml, css etc.. at that time you can customize your template with your coding. I use WordPress due to its superiority over other over other CMS. Apart from this, there are many added features. Such as lots of premium themes, easy to do SEO with plugins, easy to manage multiple websites, and much more. I saw lot of series like Featured Blogger, Interviews on other popular blogs. But, It is the first time, i see another Interesting series. I’m a 16 year old boy started blogging just 1 year ago. I’m a blogger mainly concentrating in writing technology articles in English and my regional language. I started my blogging journey using ‘Blogger’ and changed the blogging platform to WordPress like every professional blogger. I have so many reasons to use WordPress as my main platform. some are the same you mensioned on this blog post. I started blogging since 2011 and that time my niche is Science, Astronomy…. etc. But, In 2012, my niche became Technology. So, I started technology blogging since April 2012 with the blog TechBeatsIndia (I started this blog on blogger and migrated to WordPress) . My blog became popular with 1 year and I wanted to become more professional and famous in Blogging field. So, I started a new blog in WordPress for Gadget Reviews and Technology News named Gadget Yuga. It became more popular than my blogger blog within 1 month. I gained Alexa rank in India of 28000 with 1 month. So, I fixed my main blogging platform as WordPress and continuing my journey in the internet world. I started a new blog named abcdblogging.com 1 month ago and i’m working hard to make this blog popular. I want to make this blog as a way to my career :-) . As a part of this, I wrote an ebook named “Any Body Can Do Blogging”. Ammar’s readers can download this ebook from my blog . Blogger or WordPress. 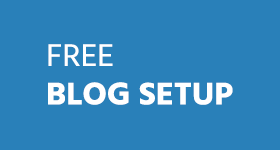 Blogger is a free platform, for which we need no kind of hosting . We only want to pay for the custom domain. However, WordPress requires web hosting and We need to give no money to install WordPress, as it is an open-source project. We want to buy host space like HostGator,BlueHost etc. I’m also including some hosting providers that provide Cheap hosting. WordPress has so many features than blogger. WordPress is more SEO-friendly and we can use lot of Plug-ins to increase your blog’s SEO . It is easy to customize. Blogger does not have these like features. I personally recommend WordPress because, I’m well experienced in these two platforms. Blogger is easy to start and study blogging. However, WordPress is more apt for a professional blogger. 1) It gives me full control over my blog. 4) There are no limits to it literally. hosting company from India. They also offers free WordPress installation, So, It help me a lot to start with WordPress. I’m using ITRPL on my all blogs.. because it is very good quality provider and it is very cheap. I’m hearing your name when i start blogging and your blog posts really helped me to make a living with Blogging. I will also prefer WordPress, same reasons which you mentioned above. easy to use, security, thousands of free plugins,themes, SEO friendly and many more things which make wordpress better than blogger. I use both but after some time I start loving wordpress because it give best to you. I start from blogger as free but facing so many problems there that’s why I start using wordpress. Its plugins are really helping me in boosting my blog. I worked on blogger for six months but now I have shifted to wordpress. Although blogger was also simple and easy to use for a newbie like me, wordpress is better in most of the aspects. Wide variety of themes, lots of useful plugins, good user interface etc. are some of the points that makes it most people’s choice. Thanks for starting this series through which a lot of new bloggers will benefit. I have those website having a lot of pictures and videos. If i chose blogger i will have to host those images and other files in another hosting and which will be a pain. Now i use my VPS with php-fpm and apache , running like a spaceship. Also I have nothing to worry about space as i think 20-30gb space is enough to run blogs. In blogger i will get only 1gb !!! Also i can make my wordpress into a forum(bbpress), Social network(buddypress), Ecommerce site etc. So , why i will go with blogger ? I love WordPress. I am using both WordPress and Blogger for different purposes. In my opinion, Blogger is best in terms of seo but we can’t trust fully on blogger for any serious internet business. For just blogging, we should use blogger. I am currently using Blogger as my blogging platform. I have used both of them and they have their own benefits. WordPress has its own seo importance, design flexibility and friendly interface with millions of plugin. Blogger can also be a good blogging platform if the template is properly optimized and keywords are properly used. I think if blogger is used properly, keeping all seo aspects in mind, it can also prove a great platform. Well I am also using WordPress for my blogging site. The main reason for which I have opted WordPress is that its very easy and efficient simultaneously on a single go. Moreover the dashboard panel is really very blogger friendly. Personally, I like WordPress. I love its dashboard and easy editing format although, I’m not sure whether it’s view statistics are accurate. Hi Ammar this is an excellent topic for doing debate especially for the help of those who want to jump into blogging sooner or later. We must guide them that blogging is no doubt an adventurous field where you make a mistake and learn from it but after ten years age of this field newbie need to learn from the experience of others instead of trying something themselves. Just one question is enough to decide which one is better blogger or wordpress. Question is how many bloggers after becoming pro in their niche are still using blogger platform. I think hardly 3 per cent. So the thing which you have to do tomorrow why don’t you do today and become its expert before tomorrow comes. As far as techie aspect is concerned for both of them no one needs to learn rocket science nor any of them require any high level technical skills. So one must start his blog on WordPress and becomes its pro. Am also a WordPress User, and agreed with you. WordPress is the most easy and advanced platform for blogging. Kindly can you tell me any wordpress plugin which is helpful for English spelling mistakes and grammer mistakes ? I have tried blogger but in free platform. My blog now is paid one under wordpress. The reasons commonly the same as other who use wordpress as their platform though. Ammar, there was a time I would have argued against wordpress, but you see have come to recognise the awesomeness of that platform, so while I still use blogger I hope to move to wordpress this year. One advantage blogger has is its speed but apart from this I see no great benefit. It’s so difficult to customize, limited wonderful theme except you are maradona of web design. While I could recommend it for those who consider blogging a hobby, it’s so limiting for those who consider blogging a busines. WordPress with sevral plug-in makes for easy customisation and seems to make commenting a tad easier. Just want to thank Harleena for sending me to this wonderful site. Hope I could be the winner. Yes i also use WordPress! its Great to handling….I am following the guide of ammar every time and it relay helpful. Thanks Ammar…. I’d also choose WordPress for the very same reason, and also because you really don’t have to do much where the codes are concerned if your theme is a good one. Not to mention that you can also use CommentLuv Premium – another added feature! Earlier both my blogs were on Blogger, but I was quick to make out the difference and benefits of WordPress through my blogging friend’s in time and switched over within a few months, and there’s no looking back now. I am completely agree with you. Even both are same for traffic, but WorPress is more user friendly. You have done proper comparision but personally I believe both are same for traffic.